← #Manchester Central Library lights on in middle of day. #Climate ? #Energy Bills?? Last week we told you about a meeting that you can’t go to. And for which the papers weren’t even up. They are now. Haven’t read them all, but two three things amuse. 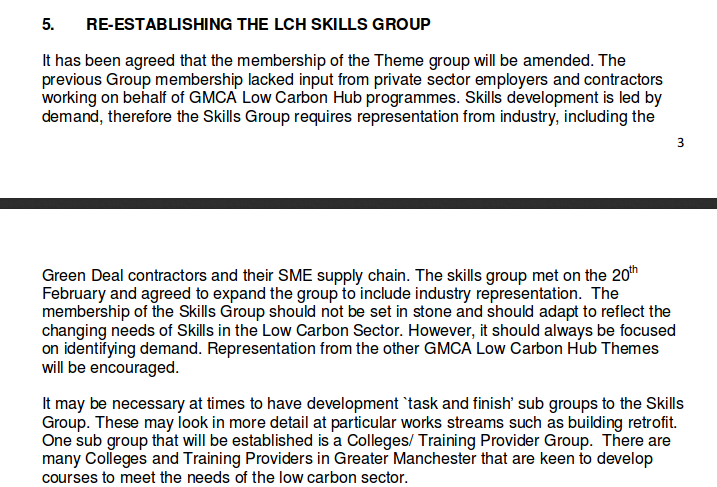 One is a failed funding bid, the other second that a group to do with “Low Carbon Skills” is already having to be re-established, a little over a year from the launch of the Low Carbon Hub. 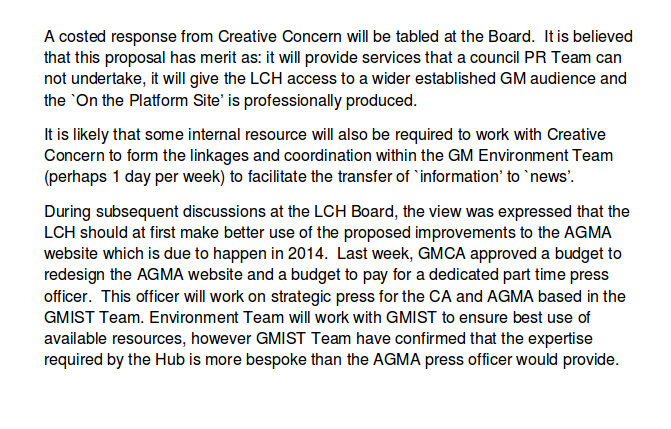 And then there are those uber-competent folks designing the LCH’s comms strategy… Bwahahahahaha. This entry was posted in AGMA, Democratic deficit, Low Carbon Hub. Bookmark the permalink. These documents are a challenge. The words ‘wading’ and ‘treacle’ come to mind. Councillors’ brains must be structured differently to accommodate such language. It is one of the aims of Frack Free Stockport to ensure Stockport Council is taking significant steps to reduce carbon emissions across the Borough. 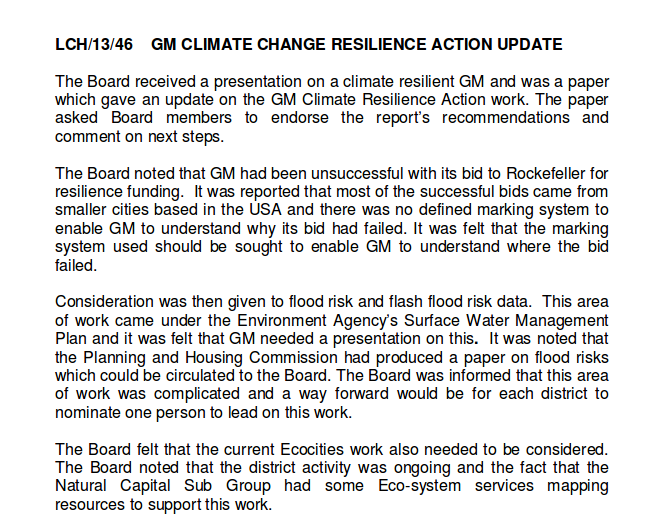 These documents indicate a GM wide approach. Is there a hub of some sort of a GM zero carbon/low carbon working group? We would like to identify relevant policies so as to hold Stockport Council to account. They are *exactly* like wading through treacle (not that I have done this – but I have wrestled in baked beans!). There is the Greater Manchester Strategy (2009), the Greater Manchester Climate Change Strategy (2011) and the so-called Greater Manchester Climate Change Climate Strategy Implementation Plan. The one thing all these documents have in common is that they are not worth your time or attention, and that they are “fantasy documents” full of fine sounding words that have no bearing on the actual steps (not) being taken by our lords and masters. There may (or may not?!) be a Stockport Climate Change Plan. That’s probably as much a fantasy document as the “Manchester A Certain Future/Manchester Climate Change Action Plan”. Good luck! !